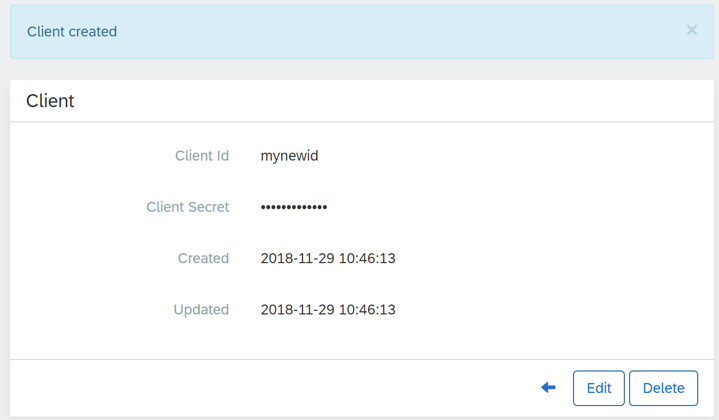 It is in the Clients tazb where you can view Client ID and Secret information and generate new Client IDs and secrets for your account. Navigate to Admin > Clients. When complete, select Save. This information can now be used in the authorization grant of an authorization request.